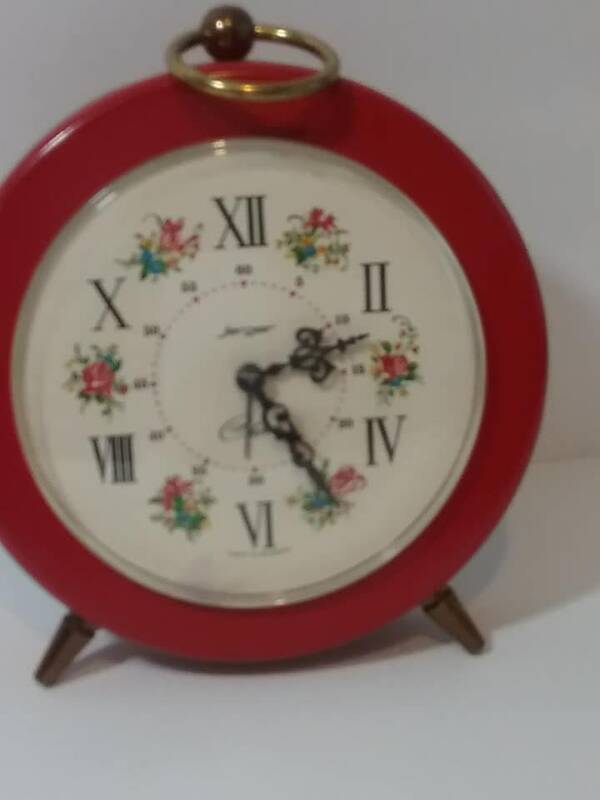 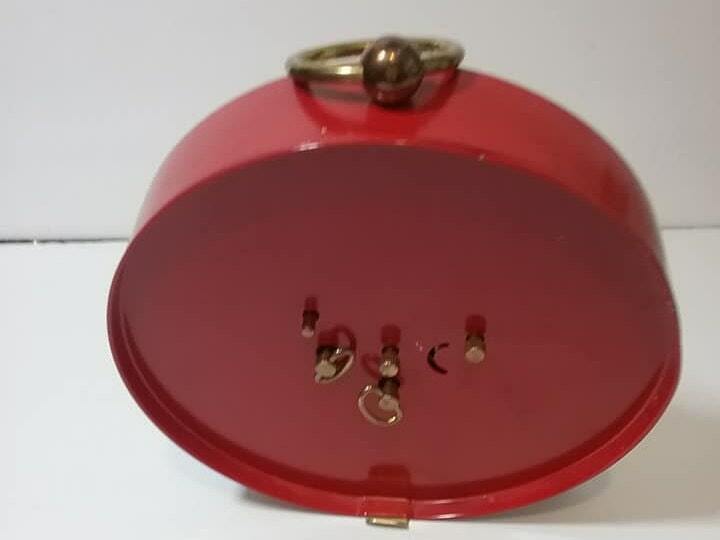 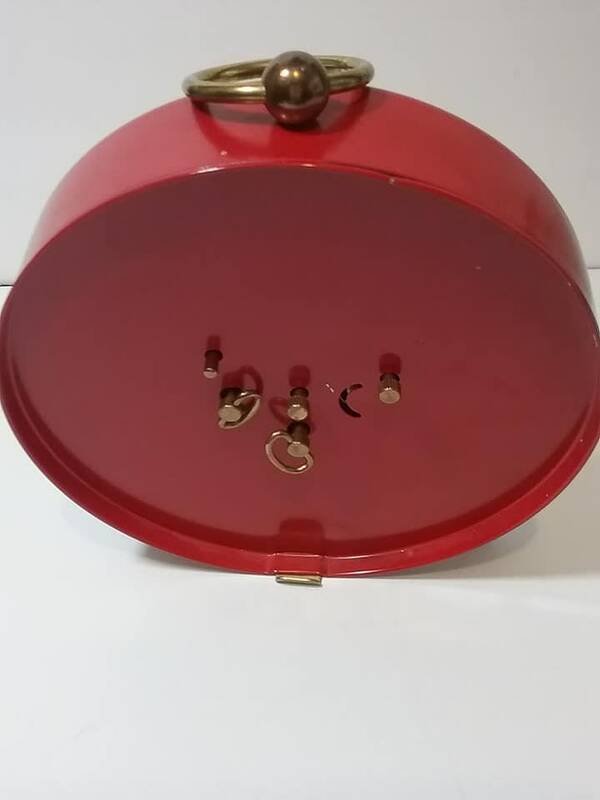 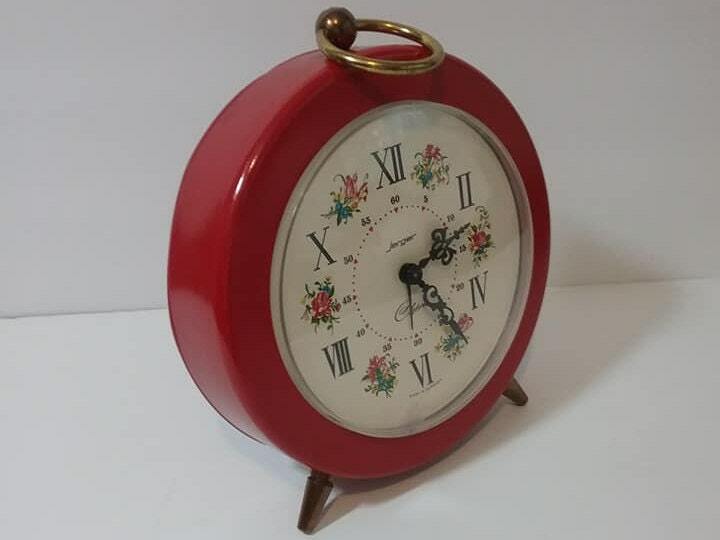 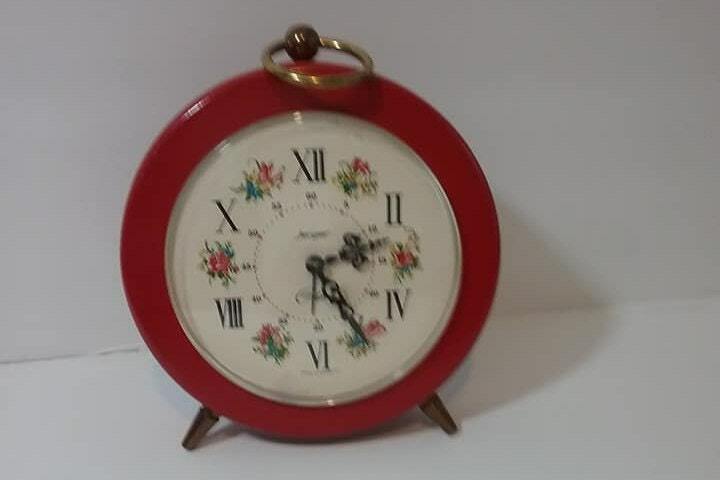 1970's Jerger red floral wind-up alarm clock. 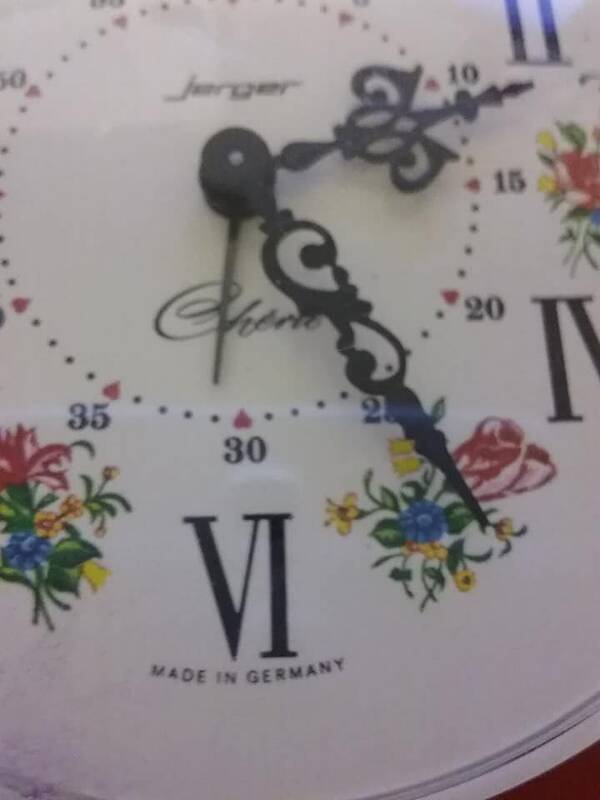 Made in Germany. 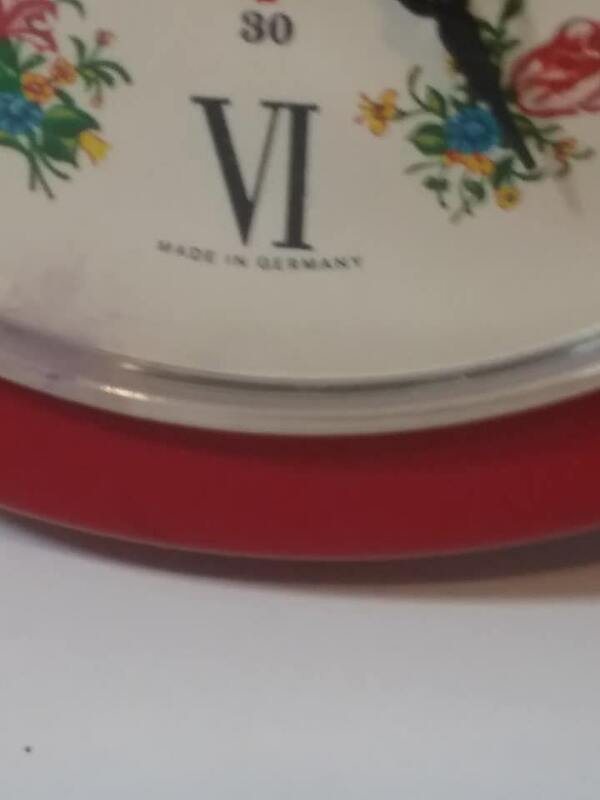 Diameter is 6". 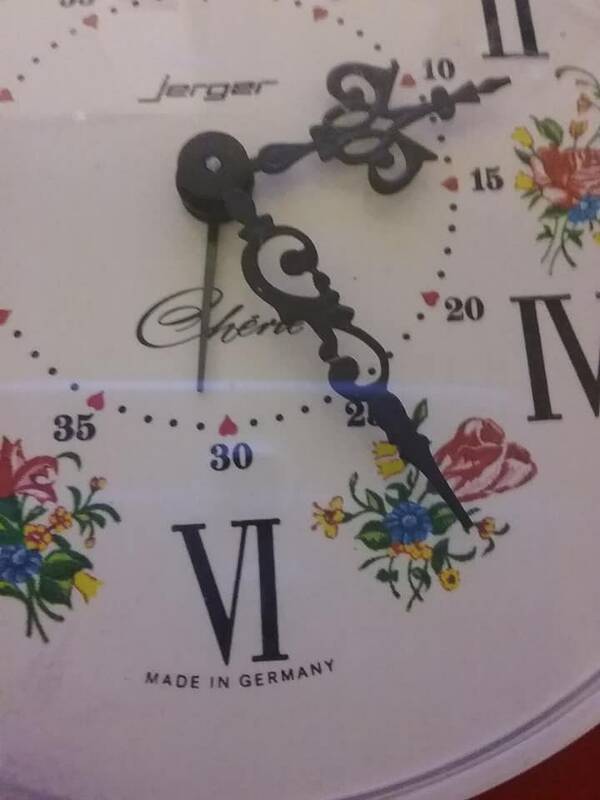 Tested and working. 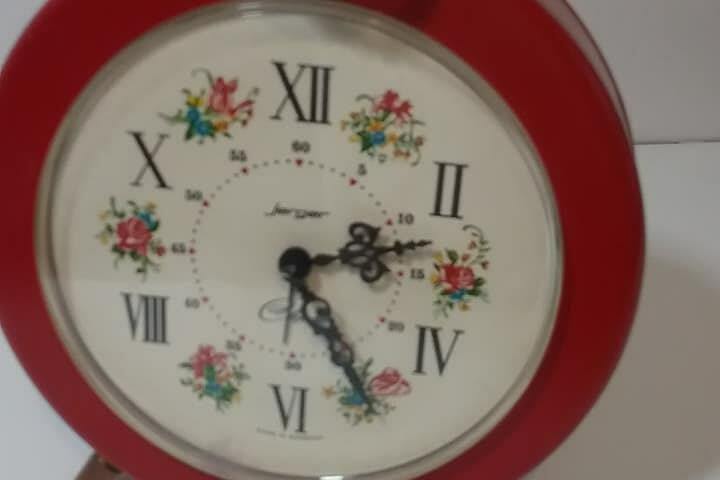 Roman numerals, 5 minute markings and numbers,with pretty floral design....In excellent vintage condition, it has withheld the sands of time.